Not so long ago, the fashion world was buzzing about the concept of a capsule wardrobe—the kind of compact closet that only held a bare minimum of pieces that all perfectly matched each other with great ease and much time saved in the morning. Perhaps because the economic downturn was ramping up at the same time that a furious decade of fast-fashion shopping was taking its toll on the capacity of our closets, the capsule wardrobe appeared to be the solution to everyone's fashion woes. Around that time in 2014, Caroline Rector, a Texan fashion lover who'd had enough of the chaos, began to whittle down her closet to a mere 37 pieces, documenting the process on her brilliant website called Unfancy. Everyone paid attention to her method. Four years on, and we thought it time to catch up with the capsule wardrobe guru for a refresher course. Times change, trends move on and so do these tidy solutions—and it turns out, maybe we took the capsule wardrobe approach too literally, and could do with easing up a little. "Before I started my capsule, I'd noticed that I had a bad habit of going shopping when I needed to jolt myself out of a bad mood. Hard day at work? Shopping! Not feeling very pretty today? Shopping! Frustrated with my family? Shopping!" 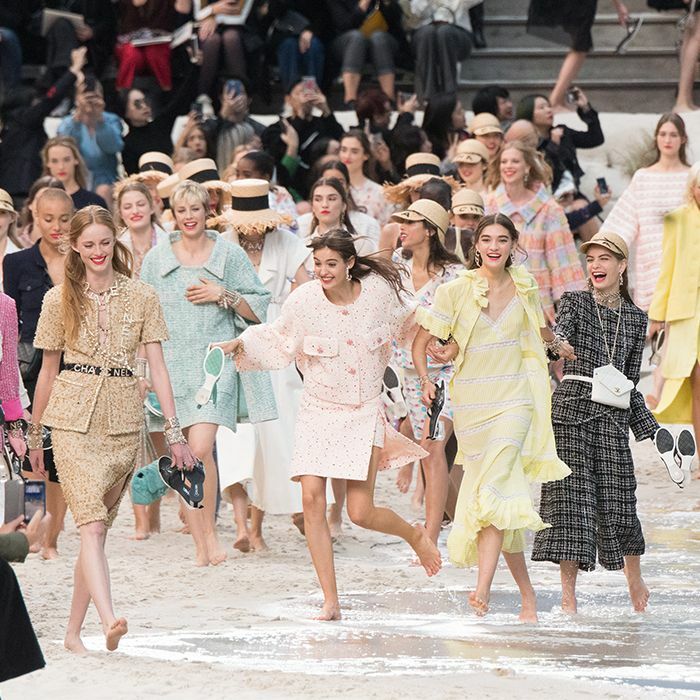 explains Caroline, who has since curbed her emotional spending habits, created enforced shopping "fasts," and focused her attention on seeking out top-quality, long-lasting pieces. These factors have meant that all the while she's really found her style. "I'm much better at dressing for the life I have, rather than a fantasy life," she says. "My closet matches my lifestyle now." It's more about mindfulness, then having some majorly strict rules you feel bad about breaking. Does that sound like a stylish setup you'd like for yourself? Thought so. Then read on to get Caroline's top capsule wardrobe-building tips. You don't have to have a number, but aim for 50 or fewer pieces. "I think mine is now somewhere around 50 pieces, but I actually don't keep a numerical count anymore—instead I go with what feels right. That's actually one of the biggest changes I've made to my capsule. After a year of living with a strict 37-piece wardrobe, I felt that it was time to let my 'capsule diet' melt into my real life. I let go of some of the structure, like going on strict shopping fasts and limiting my closet to a specific number of pieces. But I carry the heart of it with me—smaller closet, intentional purchases, less shopping and more joy." Treat the idea like a game. "Keep a playful, open attitude, and treat it like a game. You'll encounter a few frustrations along the way, but a capsule isn't about suffering—it's about trying something new and learning more about yourself." Begin with a simple clear-out. "At first, limiting your wardrobe to a specific number might help you. But after a while, it might not serve you anymore. Give yourself the freedom to evolve over time as you learn." Take a time-out before refilling your wardrobe. "Instead of buying new clothes right away, give yourself some breathing room and live with your wardrobe as is for a week or a month or however long you like. Just see what it feels like to live with less clothing." Don't worry about making it perfect. "Let it be imperfect. I've been at this for two years now, and my wardrobe still isn't perfect. I've realised it never will be, and embracing that truth has helped me find peace—in my wardrobe and in my life." Trial-run the process if you're scared to commit. "Want to test a capsule without really committing? Try a 10-day remix challenge. Pick 10 pieces out of your closet and wear only those pieces for the next 10 days. See how it goes!" Be honest about your lifestyle and what you need from a wardrobe. "I work from home, so I spend 70% to 80% of my time at home. But something in me decides that's not cool enough, so sometimes I trick myself into thinking that I spend 40% of my time at home. Since I'm not being honest with myself, I end up with fantasy-life clothes instead of real-life clothes." Ready to get your capsule collection together? 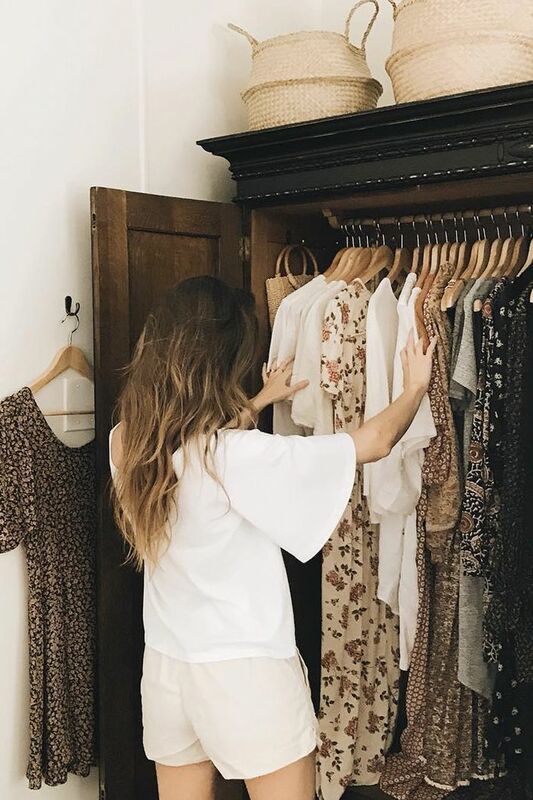 Go through the gallery below to see the kind of classic pieces that will hold any girl's closet together—and see more of Caroline's wise wardrobe advice on her site. You can rely on Balenciaga for these to be cut in a super-flattering way. You can't go wrong with a logo sweatshirt. Try this wrap-style skirt to give a work wardrobe some sophistication. There's nothing more versatile than a pair of black ankle boots. Your off-duty wardrobe needs this. 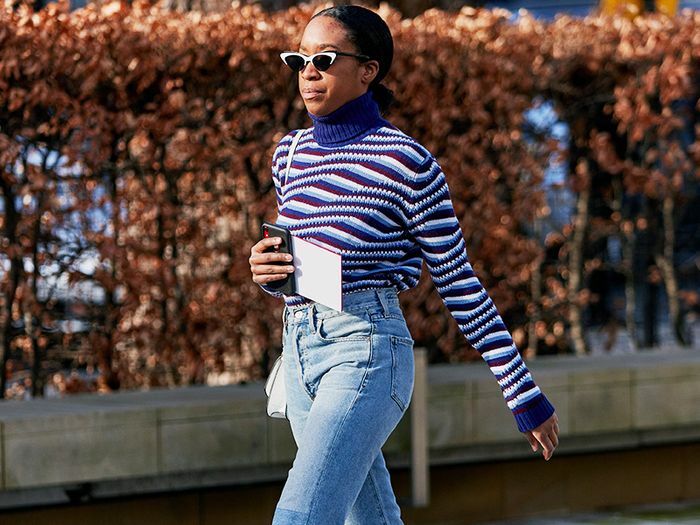 If you don't own a pair of relaxed jeans, try these easy-to-wear versions. Tie it around your neck for an oversized choker look or around your head on holidays. You will wear this forever. Perfect for work and brunches. You'll wear this over and over. These are just high enough to be flattering, but they're not so high it means you won't start falling over your feet. We'll always reach for a beige slim-fit suit. We don't know where we'd be without our classic black belt. Keen to see what other personalities have in their wardrobes? Head right this way.